In recent years, a large steelworks complex was erected in the Hidd industrial zone in the Kingdom of Bahrain. Its approximate annual production of 600,000 tons of steel covers one sixth of all previous beams and section imports of the entire Middle East. 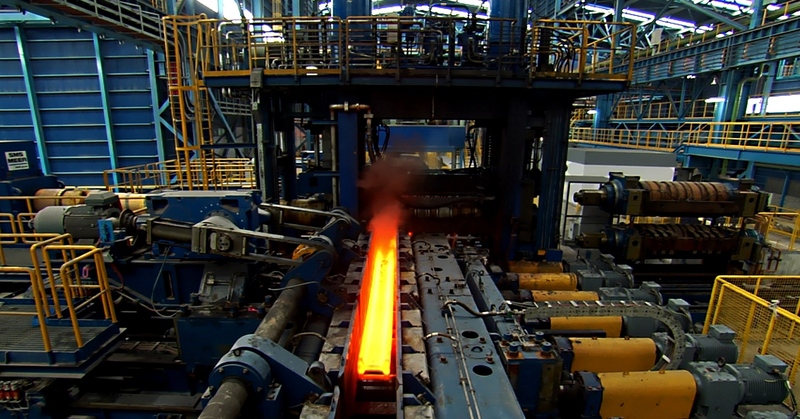 As part of the Hidd complex, steel industry specialists SMS Meer have designed and installed a heavy section rolling mill with state-of-the-art equipment. The plant required scores of gear drives designed to handle the typical load cycles in rolling mills, most notably S5 intermittent duty, as well as S9 duty with non-periodical load, speed variations, and frequent overloads. 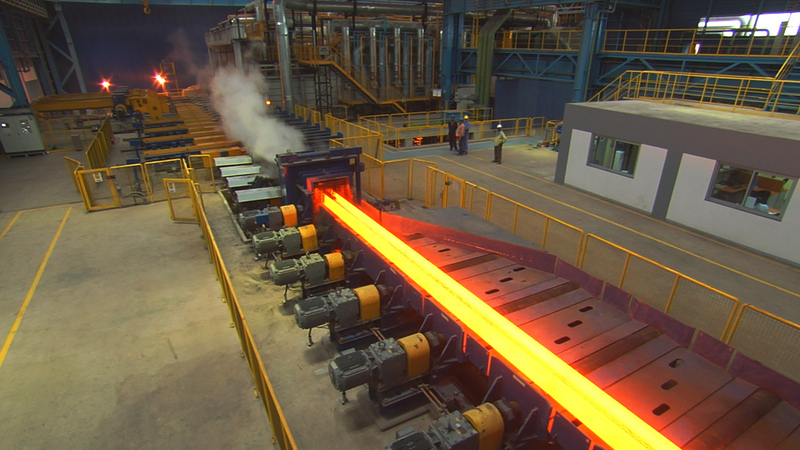 16-ton beams pass on roller tables through the reversing mill. The many drives installed along these tables must cope with the shock impact of alternating acceleration and deceleration of the blanks. Moreover, the roller table drives in Hidd are faced with excessively high ambient temperatures due to the climate of the Gulf state. SMS Meer also needed other resilient and powerful drive solutions for additional machinery. These include a straightener with double supported rollers that rely on hydraulic adjustments. The engineering company was determined to keep the need for special drive solutions to a minimum, and therefore required a comprehensive portfolio of units they could use in as many cases possible. Finally, SMS Meer used the high flexibility of many of NORD’s readily available drive systems. NORD supplied drive systems featuring an extremely robust design: encased in single piece housings, gears with helical teeth machined and finished to exacting standards provide superior stability even under high radial and axial loads. Even greater resilience and durability can optionally be achieved by using reinforced shaft material (eg, 42CrMo4) and stronger bearings. In addition, shock-absorbing housing materials help reduce the impact of abrupt rough movements. Special synthetic lubricants (ISO VG220) and special coatings are available to adapt to extreme ambient and operating temperatures. In addition to more than 600 roller table drives, SMS Meer also uses other NORD systems. These include standard parallel shaft gears for chain conveyors at the cooling bed, where they replaced special drives that were previously needed for this application. Four high-torque large industrial gear drives used for straightening the heavy blanks in front of the rollers were fitted with input and output shafts on both sides, therefore may be operated in either direction. These industrial gears required special output shafts with suitable borings and were equipped with encoders supplied by SMS Meer.